Titan Comics, in collaboration with Games Workshop, announced today plans to bring the popular board game Blood Bowl to the comic market spring. Blood Bowl: More Guts, More Glory, will adapt the football-themed alternate universe, backed by Nick Kyme and Jack Jadson. Based on the Warhammer 40,000 alternate universe, where rivalries are settled on a field of the football variety rather than the battle one, More Guts, More Glory focuses on a rag-tag team of humans. The Hochland Harbingers hope to win the Blood Bowl League, but in a world filled with aggressively burly species and chaotic conflict, it’s up to Dreng Sturmblud, a former star player who crashed to rock bottom, to help the team against its opposition. The first issue of Blood Bowl: More Guts, More Glory will have 5 different covers, from artists Tazio Bettin & Luis Guerrero, Connor Magill, David Sondered, and Ørjan Svendsen. Additionally, there will also be a cover inspired by the Blood Bowl video games. 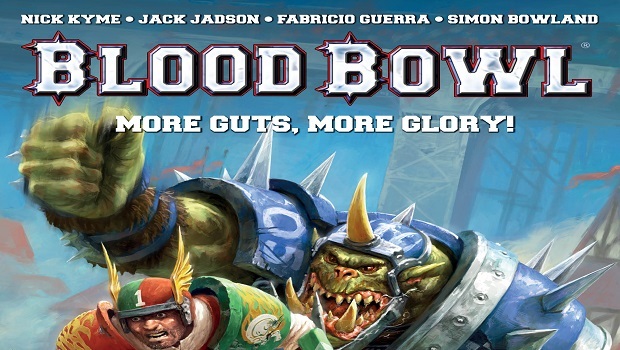 The first issue of Blood Bowl: More Guts, More Glory will be released on May 10. Check out our review of Blood Bowl II here, and stay tuned for more comic news on Gaming Trend.